We are pretty sure that most of you have seen or played some of the many tycoon style games that have been released over the years and whilst you might think that this genre has been done to death, it is still going strong with titles such as this one called ‘My Free Zoo’. 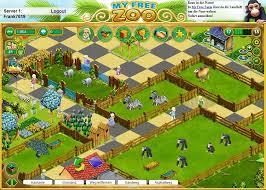 My Free Zoo is a free to play browser game that requires no download and puts you in control of your very own zoo. 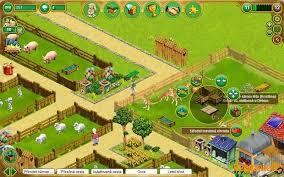 You are put in charge of a zoo and have to do your best to pass achievements and turn it into a success. This might seem easy but there are plenty of considerations and roadblocks that you will have to navigate to get your zoo right to the very top. The games tarts when the zoo director comes to you in the hopes that you can help revive the zoo and stop it from facing financial disaster. He claims that the zoo is not making any money anymore and is hoping that you can be the savior by returning it to its once great state. Of course, you can see why it is making no money when you start out with just two sheep, so you can imagine who would like part with some money to enjoy something they could see in any local field. So in you step into your new role as manager of a zoo and you will have to get straight to work building new animal enclosures, choosing which animals to add, building additional stalls that can make revenue, bring in the right staff and of course make the place look nice with plenty of decorations. It may sound like a simple game that just involves putting animals wherever you choose but it is actually more complicated than that. The different animals will have different stats and will be attractive to different audiences and will have different levels of breeding chance and regularity. So in essence you would have to think carefully about your next choice and where it will go. You will also have to consider the enclosure that will be required for the animal, as each will have different requirements. Some are fine out in the open whereas others may require some special homes and equipment. There are more than thirty different animals that can be bought on ‘My Free Zoo’, covering your more common types like sheep and cows and of course the more exotic types such as snakes, lions and tigers. 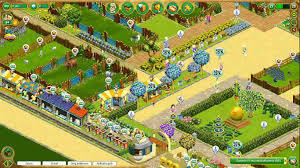 As you build up your catalog of animals you will start to complete the many achievements that can be found in the game. There are more than 200 in total that should keep you busy as you strive to recreate the perfect zoo environment for your daily visitors. As a time filler, My Free Zoo is a game that will certainly keep you busy but its lack of multiplayer features basically means it is just you and nobody else. This might suit you down to the ground but many might feel the game could have been made a bit more social. Despite this, the graphics are nice and there is plenty to do and think about, so if you love animals and can think of nothing better to do, this game could be the one for you. • Loads of achievements to be earned. • Vast selection of animals. • Not very appealing for anyone other than animal lovers. • Lack of multiplayer features. 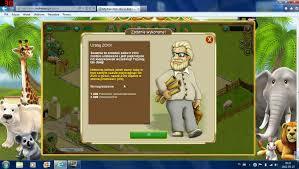 A must play farming browser game! The graphics are nice and there is plenty to do and think about, so if you love animals and can think of nothing better to do, this game could be the one for you.